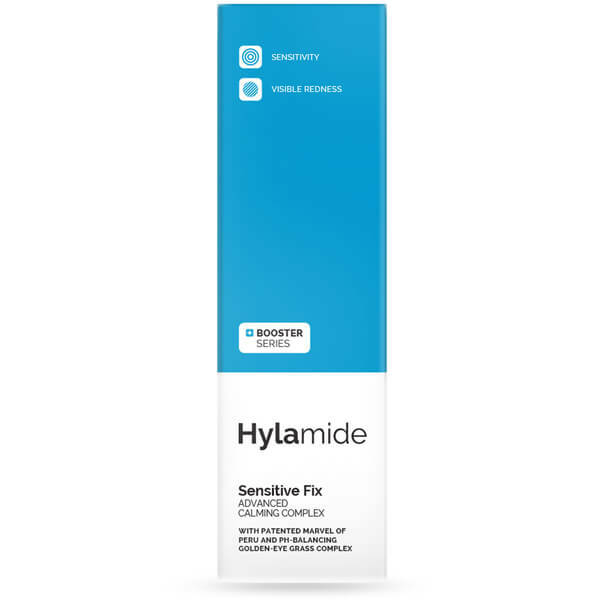 Treat your skin to the calming benefits of Hylamide's Sensitive Fix Booster, a concentrated serum that targets signs of irritation and redness on the skin. Utilising intelligent technologies, including patented marvel of Peru and pH balancing golden-eye grass complex, the formula addresses multiple roots of sensitivity and visible redness, whilst balancing pH levels to provide immediate comfort. Signs and feelings of sensitivity are reduced in the short term. Apply twice daily as adjunct skincare to counteract visible redness and sensitivity. Can be used as part of any skincare regimen before the application of moisturisers and/or makeup. 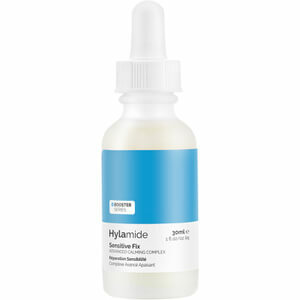 Ideally used after application of Hylamide SubQ Anti-Age and SubQ Eyes. Aqua (Water), Sodium Hyaluronate Crosspolymer, Saccharide Isomerate, Butylene Glycol, Curculigo Orchioides Root Extract, Tamarindus Indica Seed Gum, Mirabilis Jalapa Extract, Trisodium Ethylenediamine Disuccinate, Propanediol, Pentylene Glycol, Glycerin, Lactobacillus/Eriodictyon Californicum Ferment Extract, Polyacrylate Crosspolymer-6, Citric Acid, Phospholipids, Ethylhexylglycerin, Sodium Citrate, Chlorphenesin, Phenoxyethanol, Leuconostoc/Radish Root Ferment Filtrate.